Walter William Fondren. Courtesy of Rice University. Image available on the Internet and included in accordance with Title 17 U.S.C. Section 107. 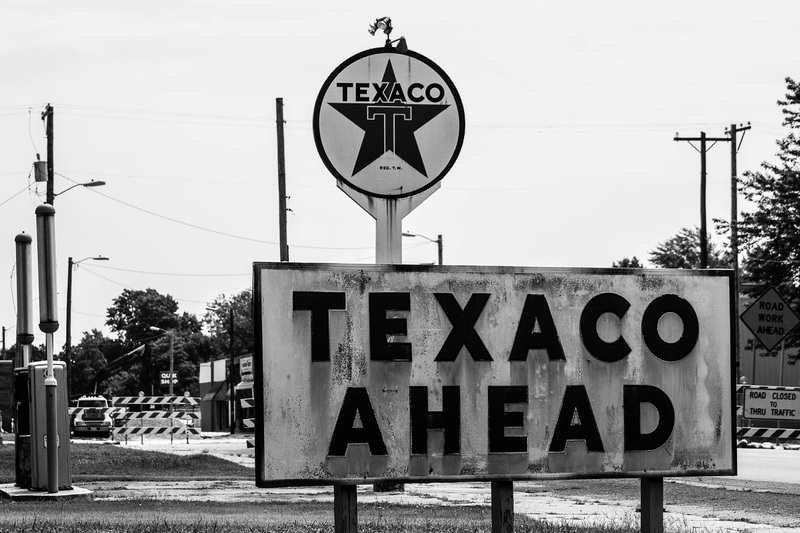 Old Texaco Logo. Image available on the Internet and included in accordance with Title 17 U.S.C. Section 107. Humble Oil Logo. Courtesy of the University of Texas at Austin. Image available on the Internet and included in accordance with Title 17 U.S.C. Section 107. Fondren Library, SMU. Image available on the Internet and included in accordance with Title 17 U.S.C. Section 107. FONDREN, WALTER WILLIAM (1877–1939). Walter William Fondren, oil operator and philanthropist, was born in Union City, Tennessee, on June 6, 1877, the son of Thomas R. and Susannah (Fondren) Fondren. His parents were first cousins. His father, a Civil War veteran, died in the early 1880s, and when Walter was six he and his family moved to Arkansas in search of more productive farmland. Here he learned how to drill water wells, a skill he later adapted for drilling for oil. He was orphaned at age ten and worked on farms and in sawmills until age sixteen, when he went to Texas and became a farm laborer. In 1897 he gave up farming to work as a roughneck in the Corsicana oilfield, and by 1901 he was a skilled rotary driller, an expert on drilling equipment, and an independent operator in the newly discovered Spindletop oilfield. Fondren moved from field to field as new oil pools were discovered, and by 1905 he was operating under his own name and through a dozen companies and partnerships. On February 14, 1904, at Corsicana, Fondren married Ella Florence Cochrum (see FONDREN, ELLA F.), with whom he had three children. Fondren was aided by his wife throughout his career, beginning shortly after their marriage, when she settled the family in Houston and used money left over to purchase stock in the firm that became Texaco, Incorporated, an investment that was eventually worth millions. To avoid dependence on others for transportation and marketing, Fondren became vice president of the Coleman Oil Company, a marketeer of crude oil. In 1911, with Ross Sterling and others, he organized the Humble Oil Company, which became Humble Oil and Refining Company in 1917 and later Exxon Company, U.S.A. Fondren served as director of the firm and as vice president in charge of drilling and production in the Gulf Coast division from 1913 until his retirement in 1933. From its beginnings in the Humble oilfield, the company was highly successful. Company activities included acquiring, exploring, and developing oilfields in Texas, Oklahoma, Louisiana, and Arkansas; the company also refined oil, transported crude oil, and distributed refined products. Its properties included a number of refineries, more than 1,000 producing wells, and 1,200 miles of pipeline. After his retirement Fondren established the Fondren Oil Company. In 1934 he accepted the post of district director of the Houston office of the Federal Housing Administration. With his wife, he gave the Fondren Library to Southern Methodist University and also gave the university endowment funds to support the Fondren Lectures In Religious Thought and a scholarship. Fondren was a Methodist and served as a trustee and member of the executive committee of Southern Methodist University; he was also a member of the general missionary council of the Methodist Episcopal Church, South. For many years he was a director of the Houston YMCA, and at the time of his death he was vice president of the National Bank of Commerce in Houston. Fondren died in San Antonio on January 5, 1939. He was buried in Glenwood Cemetery and later moved to Forest Park Cemetery. The Fondren Foundation, established by the family in 1948, was largely administered by his wife. In an effort to implement their combined wish to benefit institutions of higher learning, she established the Fondren Library at Rice University, which opened in 1949, and bestowed major gifts on the Methodist Hospital of Houston, Southwestern University, Scarritt College in Nashville, Tennessee, and other health and education facilities. Houston Metropolitan Research Center Files, Houston Public Library. Marguerite Johnston, Houston, The Unknown City, 1836–1946 (College Station: Texas A&M University Press, 1991). Henrietta M. Larson and Kenneth Wiggins Porter, History of Humble Oil and Refining Company (New York: Harper, 1959). Vertical Files, Dolph Briscoe Center for American History, University of Texas at Austin. Handbook of Texas Online, Diana J. Kleiner, "FONDREN, WALTER WILLIAM," accessed April 23, 2019, http://www.tshaonline.org/handbook/online/articles/ffo29.